Massage Therapy is… both a science and an art. It is a hands-on form of bodywork that manipulates muscles and soft tissue for the purpose of improving health and well-being. Massage therapy is one of the oldest forms of healing. Therapeutic touch has been used to alleviate various injuries and ailments for thousands of years. In today’s times massage therapy continues to help enhance and improve upon a wide range of health conditions, concerns, and challenges. 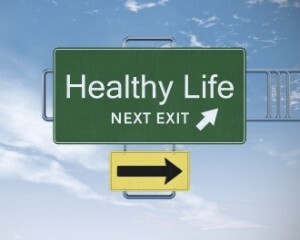 Massage therapy addresses health on all levels: physical, mental and emotional. The benefits of massage therapy are many; they include, but are not limited to: reducing stress, relieving pain, increasing range of motion, improving circulation and whole being, muscle relaxation. Therapeutic touch is an important component of one’s overall health and well-being. A variety of mainstream healthcare sessions, such as Physical Therapy or Chiropractic care, may incorporate different massage therapy methods, modalities and techniques. Massage Therapy is not… to include osteopathic medicine, podiatry, skeletal manipulation, cosmetology arts and sciences or medical surgery. Massage therapist are not to diagnosis or provide services beyond the external application of massage: including touch, friction, vibration, percussion, kneading, stretching, compression, and passive joint movement. A typical session lasts about 30 minutes, 1 hour or 1 ½ hours depending on the modalities and/or treatments performed. For your initial visit you will be asked to fill out about 10 minutes of paperwork. The paperwork includes information about your past and present medical history, your current area(s) of discomfort and/or complaint, and NMWLR’s Policies and Procedures. Just briefly before the session there will be time for discussion of treatment goals, expectations and/or questions. As you prepare to get on the table the Therapist will step out of the room to allow you to disrobe to your comfort level. It is suggested that you remove your bra, jewelry, glasses, watch, etc… You are welcome to leave your underwear on. Throughout the session you will be covered with a sheet. When a specific area is to be worked on the sheet will be folded back and tuck securely underneath your body. You will be kept decent at all times. Also, please keep in mind the importance of listening to your body and communicating with your Therapist. Providing feedback about pressure, the need to change a position, or discomfort during a session can help your Therapist better serve you. You can achieve great success when you work with a support team to “re-wire” old habits with new and improved ones! Bare in mind though, a practitioner can only do so much for you – your participation is crucial for long-term success. Swedish Massage – also known as “Relaxation or Leisurely” Massage is one of the most well-known types of massage. 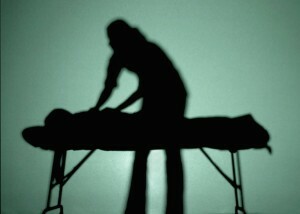 Swedish massage promotes: increased circulation, reduces hypertension (high blood pressure) and everyday stress levels. As well as providing an overall sense of well-being. Manual Lymphatic Drainage (MLD) – light, rhythmic massage that manually manipulates the Lymphatic System and its Lymphatic fluid. Numerous conditions of the body, such as: chronic swelling, sinus, skin and digestive complications and poor circulation can be addressed with MLD massages. Medical/Rehabilitative Massage – is an approach to treatment that is outcome based. The session often focuses on a(n) specific area(s) of limitation. Physical improvement is measured in some degree. Functional and performance based restrictions are addressed. Gerontology/Older adult Massage – touch, relaxation and comfort can help ease aches, pains and health conditions commonly associated with the process of aging. Deep Tissue Massage – focuses on the deep layers of muscle tissue through pressure points, manipulation, and compression. Pregnancy Massage – can minimize the mental, physical and emotional stress and discomfort of pregnancy. Pregnancy massage can help alleviate backaches, leg cramps, swelling, etc… It is strongly recommended that support stockings or compression garments are worn throughout pregnancy. What are Compression Garments and Support Stockings? Aromatherapy Massage – Essential oils derived from plants are used to enhance the healing and relaxing effects of massage. It is believed that Essential oils strongly affect our mood by accessing two areas of the brain that store, interpret and record emotions and memories. Trigger Point therapy – a Myofascial treatment, myo meaning muscle and fascia the connective tissue surrounding the muscle. Trigger points can act as a “reset button” the within various muscles. When acupressure or extreme tension is applied to a trigger point “referral pain” may be felt at other locations of the body. For example, neck and shoulder tension may “refer” pain and cause a headache on tension around your eye(s). Hydrotherapy – contrasting moist heat and ice application to a specific region of the body. Hydrotherapy is a wonderful, at-home, technique for muscle tension and stress. Pre/Post Sports Massage – Specific focus on muscle regions and/or groups in preparation for an event or to wind-down and recover more quickly from one. Sports Massage is not just for Athletes – specific focus on an area due to overuse or stress is highly beneficial too! Chair Massage – Various massage techniques are applied, through the clothes, in a special ergonomically designed chair for massage applications. Chair massage is often seen at community and public events. A session typically last 15-30 minutes for roughly $1/min. Hot Stone Massage – is the application of heated river stones to your body. Hot stones melt away tension and ease stiffness in muscles. The direct heat also allows the therapist to access deeper layers of muscle tissue. Work with a Licensed Massage Therapist! Generally the underlying purpose of licensing laws is to act as a protection against any potential harm to public order or to public health. Each state has different educational requirements to obtain a valid license. The State of New Mexico requires the completion of 650 hours from an approved Massage Therapy School, CPR certification, and a passing grade on the National Certification Examination for Therapeutic Massage and Bodywork (NCETM/TMB) or Massage & Bodywork Licensing Examination (MBLEx). All Massage Therapists licensed in New Mexico (LMTs) are required to include their license number in any public advertising or business paraphernalia. 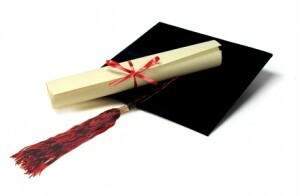 Continue education is also required to maintain a Massage Therapy license in the State of NM. Sixteen hours every two (2) years and 4 hours of those hours must be ethics based. Registered Massage Therapy Instructors are required to attend 32 hours every two (2) years and 4 hours of those hours must also be ethics based. It is acceptable and appropriate to ask your Therapist about their personal education, experience and licensure(s). Massage doesn’t just feel good. Research shows it reduces the heart rate, lowers blood pressure, increases blood circulation and lymph flow, relaxes muscles, improves range of motion and increases endorphins.
" I have been a regular massage client of Patricia Huband’s for more than two years. Her knowledge of bodywork and lymphatic health has helped me tremendously. I have had many massages over the years, and I find her skills to be 'top notch.' I have benefited from her skilled hands and open heart more than I can put to words. Give massage a try – you won’t be sorry!! " "I felt wonderful after our last session! I felt in the flow and flexible. It seemed my body was rejuvenated!" "Patricia has a gift for healing and massage. She has helped my chronic neck and hip pain in many ways. This is due to her instinctive and well-trained way of understanding the particular needs of a person's body." Massage therapists work to enhance well-being, reduce the physical and mental effects of stress and tension, prevent disease, and restore health. "After Patricia did a wonderful combination massage and lymph treatment everything changed in my body. My sinuses were not clogged and my digestion improved! My shoulders and neck were much more flexible and the circulation in my legs was better (I sit at a computer all day). I have had massages before but this was really special- I left feeling lighter and really good in my body and spirit- not sore or fatigued, just bliss in a grounded way! Thank you Patricia!" "Just had my first massage with Patricia. She is a very skilled therapist, and it was a wonderful massage! She has very strong hands and provides good, firm pressure without being painful. The massage was both invigorating and relaxing, and filled with little extras like aromatherapy and a lovely office environment. At the end of the massage it felt like it had been longer than an hour, and every body part had been covered thoroughly. I can't wait for my next appointment!!" Traditional healthcare systems across the world recognize that therapeutic massage can play an important role in treating illness and chronic ailments as well as contributing to a higher sense of general well being.